Warning this article contains Spoilers!!! Read our previous articles on the historical accuracy for Season 1 and Season 2 of The Last Kingdom. 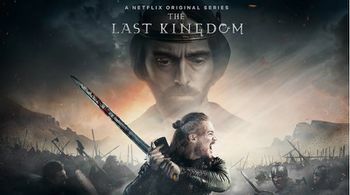 The TV series Last Kingdom, based on the Saxon Tales series written by Bernard Cornwell, continues for a third season, this time concentrating in the later years of Alfred the Great's reign. This was a period of renewed conflict with tensions and uncertainty as to how successful the unification process of England would survive future Danish onslaught. The approximate time in which the season takes place is between 892-899. In 892-94, another large wave of Danish and other Viking invasions took place in Wessex, attacking the rich lands of southern England south of London. Several of the raids involved Danes coming from northern Europe but also Danes from East Anglia and Northumbria came. The Danes may have intended to stay in England if they had been more successful with their raids. 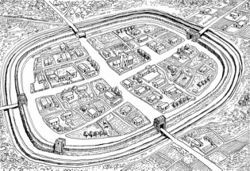 In 892-94, Wessex was far more prepared for renewed Dane raids than they were in earlier invasions, as this time they had fortified places called burh(s) throughout much of Wessex (Figure 2). The Danes have set up several key defensive areas, including in the Thames Estuary and in Devon. They were led by Hastein, a chieftain who led one of the larger groups. However, numerous other Viking warlords were involved, which in some way may have complicated the success of their attacks. One group of Danes was, in fact, intercepted near Farnham, which is a small town today about 30 km west of London. There, the Danes were defeated and much of the treasures stolen during their raids were taken back. Later, the Danes were also defeated in 894 at the battle of Benfleet east of London. Figure 2. Burhs were important for the defense of England. 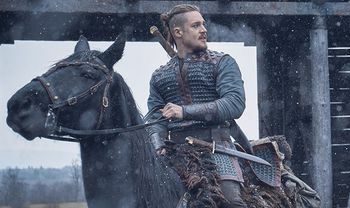 While in the novel Uhtred plays, once again, a key role in defending against the Danish raids, he eventually flees north to Northumbria after his wife died giving childbirth. The key historical link and plot is the uncertainty of what would happen once Alfred died and how successful Wessex would hold on against Danish/Viking raids, particularly as Aethelwald, Alfred's brother, would likely make a move for the crown after Alfred had died. Although eventually Uhtred comes back to Wessex, after some time being involved in his own Viking raids in continental Europe and living with his Danish brother, Ragnar, he finds himself more closely allied to Æthelflæd, who is the wife of the Mercian lord Æthelred. When Alfred does die in 899, rebellion by Aethelwald starts that sees him combining his forces with invading Danes, Northumbria Danes, and Danes from East Anglia. Edward, son of Alfred, had succeeded Alfred but some see him as not the legitimate king, as Alfred took the crown from Aethelwald early in his reign because Aethelwald was seen as incompetent and unable to lead against the Danes. The Anglo-Saxon Chronicle suggests Aethelward may have been recognized as king in Northumbria at this time. Aethelwald also convinces the Danes that he is the rightful king in Wessex, although he is unsuccessful in convincing most nobles in Wessex of this. The Danes began raiding Wessex, which eventually led to an invasion by Wessex against East Anglia, specifically against King Eohric who had sided with Aethelwald. At a great battle, the Battle of Holme, Eohric, Aethelwald, and other prominent Danes die, although this is often considered a Danish victory as Wessex forces retreat from East Anglia for the time being. The Last Kingdom in the third season takes place in the 890s, the last years of Alfred's reign. In Season 3, Uhtred appears to possibly change his loyalties as he leaves Wessex after his wife dies. This is because he killed a priest who had insulted her after her death. Uhtred is initially the governor of London and, although Merica, led by Æthelred, technically rules London, it is Wessex that has the real authority. In fact, Mercia is not allowed to have a king but only a lord, keeping Wessex in charge of its affairs and creating tension between the two although they are generally united against the Danes. After leaving Wessex for some time, Uhtred comes back and serves Æthelflæd as he cares for her and keeps his oath to her to protect her. He thus continues fighting for Wessex and serving under Edward, the son and successor to Alfred. Hastein is a key character in the conflicts that began in the 890s. We do not know if Hastein was the same as another Hastein mentioned in texts who had also raided wide areas in Europe. It is possible they are different people as otherwise, it would seem Hastein would have lived for a very long time and been involved in attacks throughout Europe. Hastein is shown as being a character willing to do whatever is needed to ensure his position. He is seen as orchestrating a significant part of the invasions and conflicts, although he was able to extricate himself from some of the key battles such as Benfleet. Edward is Alfred's legitimate son who becomes king after him. Edward is shown as being initially unsure and needing guidance, which Uhtred was to provide in matters of war and battle. Edward begins to gain confidence and establishes his own interests soon after Alfred's death by securing the crown and fighting in East Anglia to defend his interests. He gained valuable battlefield experience in Farnham and Benfleet. Æthelflæd, who eventually led the Mercians, is shown as an intelligent character who eventually convinces Uhtred to come back and serve the Mercia and Wessex despite the fact that he was at one point wanted for killing a priest. Because she cared for Uhtred this helped him against the people in Wessex who were angry with him. This permitted Uhtred to defend her from those who plotted against her, including her own husband. Her husband sought to make Merica fully independent from Wessex, but failed because the country lacked sufficient resources. In the 890s, Alfred's weak health has begun to catch up to him and he knew it. He began to groom his son Edward and prepare him for the challenges that were ahead. Alfred wanted to fight to secure the crown, then keep the Danes and Viking raids at bay, and finally expand and forge the dream of England. While the first two goals were clear and having the burh and a military system created by Wessex could prove effective, uniting a country was more complex, as no one had to convince other Anglo-Saxons to accept the idea of England. Alfred did begin to make plans for this by marrying his daughter to the Mercian lord and placing that lord under him, but he struggled to create a more secure alliance. Æthelwald is portrayed as a character often drunk and largely incompetent, although this could largely be an artifact of history where he ultimately did not rule the crown. He was given great wealth and land by Alfred on his deathbed but Æthelwald always wanted the crown and he saw his chance during a period of renewed Dane and Viking attacks. He did not anticipate perhaps that his nephew would also be willing to fight so hard for his claim to the crown and this oversight cost him his life. There is a great deal of creative liberty in this season. The 890s were recorded in the Anglo-Saxon Chronicle , which is the primary source for this period. We do not know how serious the Dane raids were but one gets a sense they became less successful as the English (Anglo-Saxons) began devising more effective defensive systems. The Danes were likely still a formidable threat and the fact they were campaigning throughout still much of England shows that. The major battles in this period were just outside of London and in an area near Cambridge. The entanglement of Danes with the English also becomes clear as by now many had begun to convert to Christianity and the politics of the Danes and English intersected. England itself would become a mixture of Danish and English influences. The fact that Alfred was still highly successful in manipulating the situation for his favor with Mercia and securing his son on the throne shows that he continued to be a wise ruler as he is depicted. The threat from Hastein may have not been so severe but the fact that Æthelwald could threaten the crown shows that Alfred had not properly dealt with the threats from within his wider family. The portrayal of Uhtred vacillating between his temptation to join his brother Ragnar and the Danes and try to stay loyal to the English who often were ungrateful demonstrates also the period in which the story takes place. As a king became physically weaker, enemies of Wessex did begin to contemplated whether there was a chance to take Wessex. Dane disunity and coordination in their military tactics and strategies played a key role their downfall and this became clear. Although the Last Kingdom takes great liberty with the story in this season, along with several fictional, key characters such as Skade and Harald Bloodhair, the story is well set within another period of uncertainty in English history and makes these characters believable and seemingly central to the wider story of English unification. The fact that The Last Kingdom has continued for the third season shows that there is a strong appetite for stories from early English history. The show benefits from the reality that this period's history of England is not particularly well known, outside of some major battles, Alfred's death, and the subsequent rebellion. This allows the show to weave a captivating fictional story within this historical timeline, making for some entertaining watching even if it is fanciful. ↑ For more on the battles and conflicts of the 890s, see: Lavelle, Ryan. 2010. Alfred’s Wars: Sources and Interpretations of Anglo-Saxon Warfare in the Viking Age. Warfare in History. Woodbridge: The Boydell Press. ↑ For more on how the Danes from Northumbria and East Anglia began to conspire against Alfred, see: Abels, Richard. 2017. Alfred the Great: War, Kingship, and Culture in Anglo-Saxon England. Routledge. ↑ For more on the death of Alfred and succession, see: Campbell, James, Eric John, and Patrick Wormald. 1991. The Anglo-Saxons. Penguin History. London, England ; New York, N.Y., USA: Penguin Books. ↑ For more on Hastein, see: Hinds, Kathryn. 2010. Vikings. Barbarians! New York: Marshall Cavendish Benchmark, pg. 49. ↑ For more on Edward, see: Higham, N. J., and David Hill. 2001. Edward the Elder, 899-924. London ; New York: Routledge. ↑ For more on Æthelflæd, see: Arman, Joanna. 2017. The Warrior Queen: The Life and Legend of Aethelflaed, Daughter of Alfred the Great. Amberley Publishing. ↑ For more on how Alfred spent his last years, see: Abels, Richard Philip. 1998. Alfred the Great: War, Kingship, and Culture in Anglo-Saxon England. The Medieval World. Harlow, England ; New York: Longman, Chapter 9. ↑ For more on Æthelwald, see: Jones, Gwyn. 2001. A History of the Vikings. 2nd ed. London ; New York: Oxford University Press. 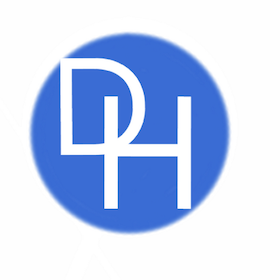 This page was last edited on 23 November 2018, at 01:22.